The words “silent” and “disco” might seem at odds with each other — after all, half the fun of any party is the noise! But there are soundless raves that are popping up all over the world, bringing people together to party … in silence. A silent disco is a party or concert where, instead of blasting music through giant speakers, everyone gets a pair of wireless headphones. Music is then transmitted to the headphones, creating a bubble of sound for every attendee. This way if you want to talk to someone else, there’s no need to shout over the music or run outside to a quiet spot. Silent discos have been around for a while, but they truly took off once music festivals like Bonnaroo began adding them to their lineup. 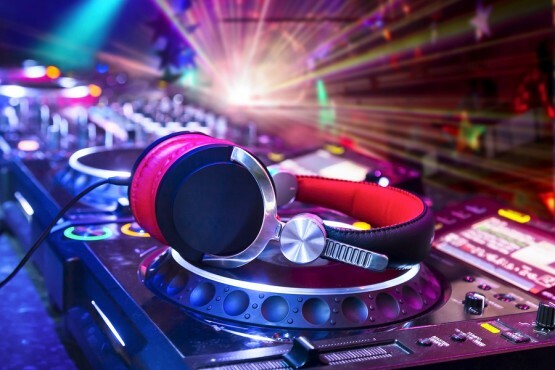 Now they take place all over the world, and there are even silent concerts and silent DJ battles, where two DJs compete to get the most people to tune in to their music on the headphones. So what do you think? Could silent discos be the next big thing? Vote and let us know what you think in the comments! No way! TURN UP THE MUSIC! Get your dancin on ????? I SAY TURNNNN ITTTT UPPPPPPP!!!! #TURN DOWN FOR WHAT!!!!! I think it could be the next big thing. It could definitely make it quieter during parties, but it’s a party, how would you interact with other people?